These notes are designed to compare the differences between Home Condition Surveys, Homebuyer Reports and Premium Building Surveys. Since its launch in 2007, the SAVA Home Condition Survey (HCS) has proved to be an excellent product for members and their home buying clients. The SAVA Home Condition Survey can only be produced by approved Home Inspectors. Buying a house is a major investment. One that you really need to make an informed decision about. That's exactly what the Home Condition Survey allows you to do. It's a striking fact that around 70% of homebuyers do not commission any form of independent survey on the property they purchase.Which?, the consumer agency, estimates that undertaking a condition survey could save homeowners thousands of pounds--in some cases, as much as £10,000. The Home Condition Survey is delivered by specially trained and fully-accredited residential property surveyors. It gives you a plain English, jargon-free report on the condition of the property using a simple 1-2-3 rating guide. You will understand any risks or unforeseen expenditure that could crop up when you are settled in. Your Home Condition Survey means you will know all you need to know about the house you're about to buy. To produce a Home Condition Survey, the surveyor must be a member of SAVA, our accreditation scheme which trains and audits the work of surveyors. SAVA members specialise in providing information for buyers and sellers of residential properties. No repair is currently needed. Normal maintenance must be carried out. Repairs or replacements are needed but the surveyor does not consider these to be serious or urgent. These are the defects which are either serious and/or require urgent repairs or replacement, or the surveyor feels that further investigation is required. You may wish to obtain quotes for additional work where a condition rating 3 is given, prior to exchange of contract. Buying a house is stressful and it is not always in the seller's best interests to be fully open about its quirks and shortcomings. That is where the SAVA surveyor comes in. Your Home Condition Survey offers a thorough, comprehensive and easy to follow report for a fraction of the cost of a full structural survey--putting you in a stronger position to negotiate with the seller. The RICS Homebuyer Report has been a popular home survey report format for many years. It is suitable for property of conventional construction and up to about 150 years old. The survey report provides a clear and concise picture of the condition of the property and also a market valuation. This survey report is our most popular product and will give a purchaser a detailed assessment of the property together with advice on future maintenance. Although slightly more expensive than the RICS Condition Report, the Homebuyer Report is still very affordable survey and ideal for the vast majority of homebuyers. Importantly it includes a market valuation and a buildings insurance calculation. The report is written in plain English using easy to understand "traffic light" ratings to reflect the seriousness of defects. The report also has a section on advice for your legal adviser. - A concise description of construction and condition of the property. - The identification of problems which are serious or require urgent attention. - Information on items requiring further investigation. - Information on problems which may be dangerous or pose a risk to the building. - Advice on future maintenance. 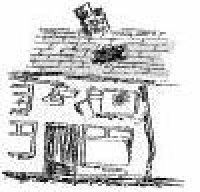 - A building insurance reinstatement calculation. A Building Survey, often referred to as a structural survey is a custom written report suitable for property of both conventional and unconventional construction and any age or size. This is a comprehensive report tailored to suit a particular property and will highlight defects, repairs and maintenance options. This type of report is essential for larger, older or more complex property or if you are planning major works. The Building Survey will provide detailed information on construction and condition and will include photographs. - Details of the materials used in construction and how they will perform in the future. - A description of visible defects and explanation of problems posed by hidden defects. As indicated above, at Andrew R Williams & Associates Ltd, all our home inspectors are fully qualified and accredited members of SAVA -an organisation which trains and accredits the work of surveyors. Homebuyers can be assured of a comprehensive report produced by a professional, trustworthy individual. At Andrew R Williams & Assocaites Ltd, we have a friendly and professional approach and are happy to discuss your requirements, speak personally with you and quote for any proposed work.